Tikal is an ancient Maya ceremonial center located just across the border in Peten, Guatemala, just 19 miles north of Lake Peten Itza and the quaint town of Flores. We will drive you the Belize-Guatemala border, only a short 15 minute drive from our office. When you arrive at the border we will pay your border fees and assist you with your crossing, where you will meet your guide. 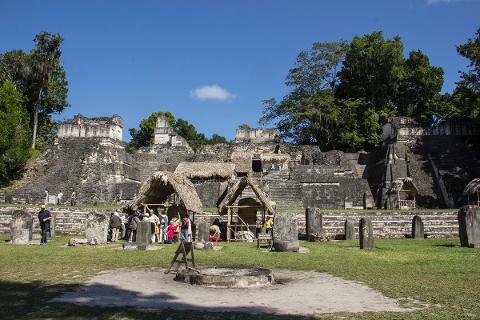 Your guide will drive you for another 1.5 hours before arriving at Tikal National Park, a UNESCO World Heritage Site. Along the way we will pass small villages, beautiful lakeside scenery and rolling hills with rainforest and agriculture. Upon arrival at Tikal we will pay your entrance fees then your guide will then provide an in-depth 4 hour tour of this magnificent site. Our guide speaks fluent English. 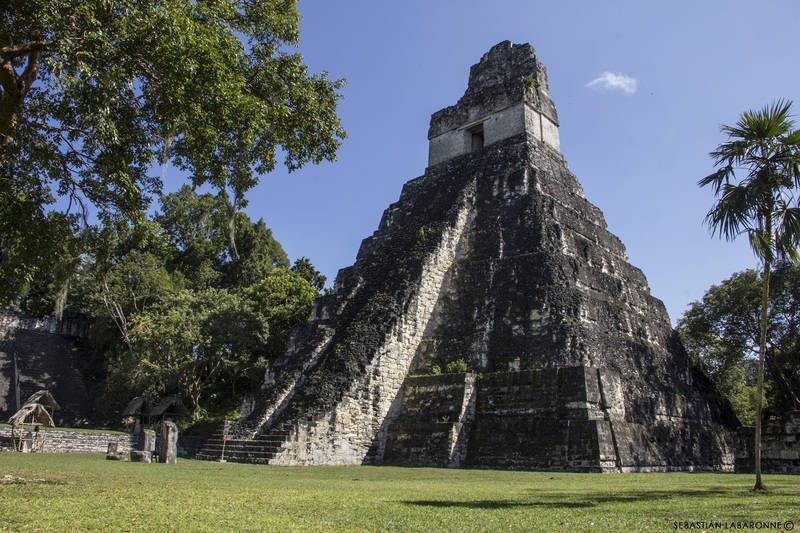 Tikal is known for its massive pyramid temples, monumental plazas, palaces, and stelae. This is a very significant site in the history of the region and Tikal was the most powerful metropolis in the area for many centuries. It was a prominent player in the Mesoamerican trade route which extended up into modern day Mexico and well as Belize and beyond. 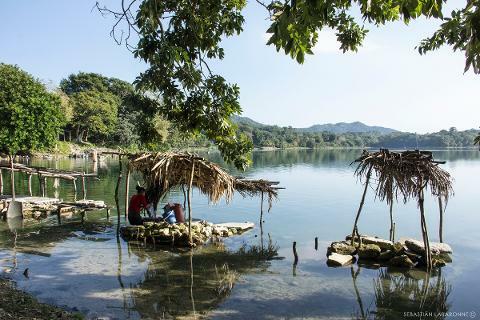 You will also have time to view wildlife such as howler monkeys, parrots and toucans, coatis, and oscillated turkeys as well as sample some of the local culture of modern day Guatemala. After an extensive tour of the site we make our way to a local restaurant for a warm lunch, including vegan and vegetarian options, Lunch is included in your tour. After lunch we will have the opportunity to purchase some crafts and souvenirs before heading back across the border to Belize. 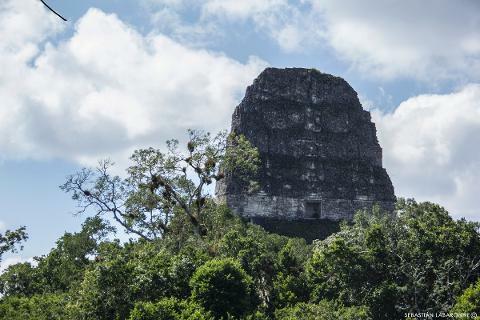 This is the chance to knock off another item off your bucket list (and if Tikal is not on your list, trust us, it should be!) 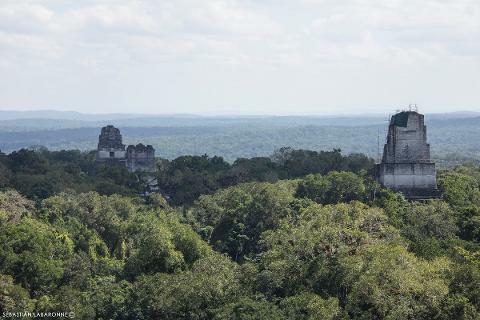 Tikal is a unique and impressive Guatemalan archaeological site within close proximity to our Belize headquarters. Take the plunge and get the best of both worlds at MayaWalk! What to bring: sunscreen, hat, bug spray, snack and extra water, camera, passport, spending money for souvenirs (there are money changers at the border).